KDDI Mugen Labo, a startup incubator run by Japan’s second largest telco, recently held a conference called “4th Meeting” where we heard from five startups from the third batch  of its three-month acceleration program. All the smartphones apps developed by these startups will be available on au SmartPass, a flat-rate monthly subscription service that gives subscribers access to an unlimited number of apps. 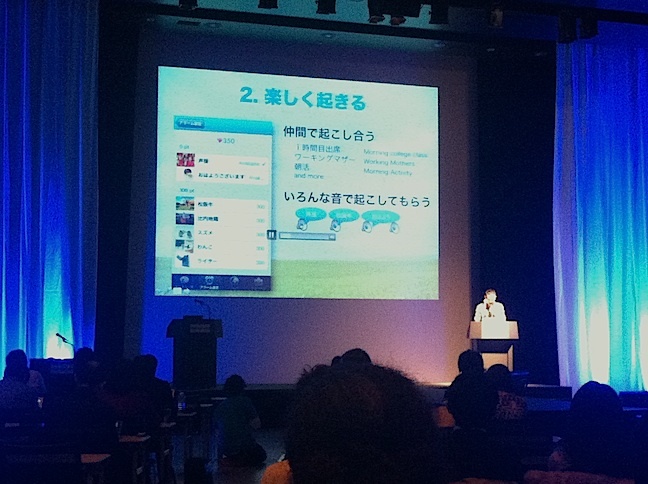 Mana.bo is learning platform that allows students to ask tutors a question at any time. If you are studying at home but suddenly have a nagging question, you usually need to wait until the next school day to ask your teacher. Mana.bo makes it possible for students to ask their question immediately, without having to wait. 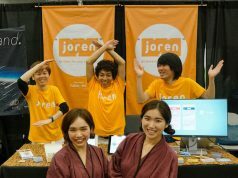 According to the startup’s CEO Katsuhito Mihashi, the “EduTech” market is growing very rapidly in Silicon Valley, and the investment in this industry is as much as four times of what used to be four years ago. To differentiate from competitors, mana.bo is preparing to add several key features, such as an online whiteboard where they can draw, as well as tools for chatting, photo sharing, and even a numerical formula recognition feature which can detect hand-written numerals and things like radical signs and logarithms. 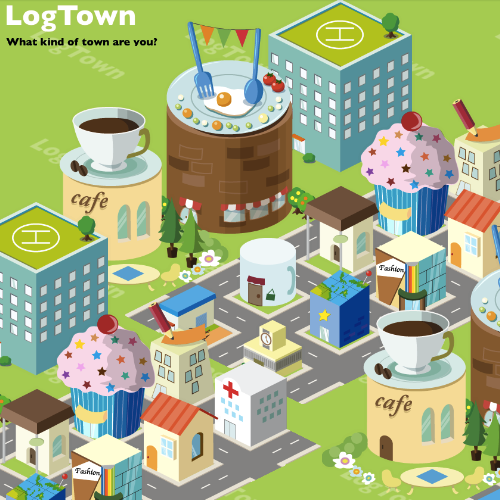 Log Town aggregates (or “logs”) your activities on social networks such as Facebook and Twitter, and generates an information index in the form of a virtual town. The service sort of has a SimCity feel, but is personalized with details of our social media behaviours. For example, when you check into an Italian restraunt with your Foursquare account, that restaurant will be virtually constructed on your Log Town page. They just released the browser based version, and will introduce an Android app in March. Morning Relay is a social wake-up call that enlists the assistance of your social circle in making sure that you wake up on time. The “relay” monikker springs from the process of being handed a baton from a teammate in a relay race – getting by with some help from your friends, as they say. When your wake-up time closes, your social contacts will cheer you on in an effort to wake you up. If you don’t wake up, your avatar will indicate to your contacts that you still aren’t awake, so they can keep trying to nudge you out of bed. If you succeed in waking up on time, you can pass along thanks to your caller, and even help to wake up someone else on the app. The iPhone app will be available in February, and the Android app will follow in April. Close is a smartphone app that lets you chat with only with your intimate friends, allowing you to register up to nine people as contacts. It was inspired by a presentation from ex-Google senior UX researcher Paul Adams. 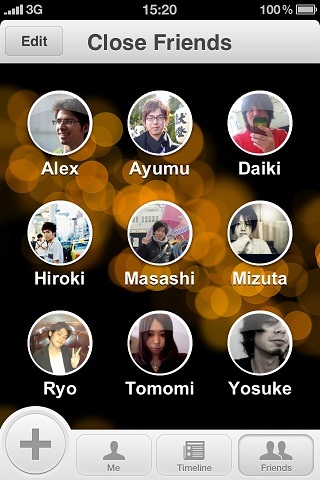 Close’s creator Daisuke Mizuta believes the maximum limit is typical of intimate contacts someone would have. The app allows you to update your important (and not-so-important) moments without worrying about colleagues or business contacts who might be connected with you on Facebook. Close’s developer, Reventive, raised 15 million yen in funds (about $162,000) from ex-Oracle Japan president Allen Miner and other Japanese angel investors. Close is available for iOS and Android. 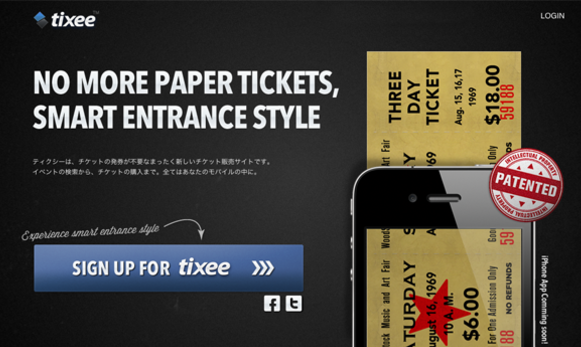 Tixee is a service that allows you to buy tickets for interesting events online. Most ticketing apps use QR codes to be scanned at the door of an event, but this can often take more time to confirm than paper tickets. The Tixee app digitally reproduce the ticket stub tearing motion, and an event organizer just needs to swipe the screen to tear off the (virtual) stub, as you can see in the promo video below. Tixee has already been adopted at football matches by F.C. 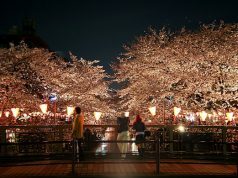 Tokyo, and also on the concert tour of popular J-pop band Mr. Children.